Poor posture has been a leading cause of many ailments. Of late, technology has started playing a key role in alleviating common posture problems. That’s the reason why continuous research has been carried out around detecting postures in humans as well as robotic systems. Posture recognition systems, as some of these are called, are interestingly being the focal point of research for computer scientists and researchers. In this article, we discuss a novel research study that uses deep learning to build a scene recognition system to detect sitting postures. A group of researchers from Nanchang University, China have developed a method through which they track unhealthy sitting posture in humans by analysing scenes and objects in the scene. Using a motion sensing device known as Microsoft Kinect, skeletal points of the human body are detected and observed for movements. Now, a deep learning (DL) technique is used to detect objects in a scene( a workplace/office) and also to extract features from these objects. The skeletal points and object features from the scene are clubbed to form semantic features through a Gaussian Mixture model. These semantic features would then depict sitting postures. 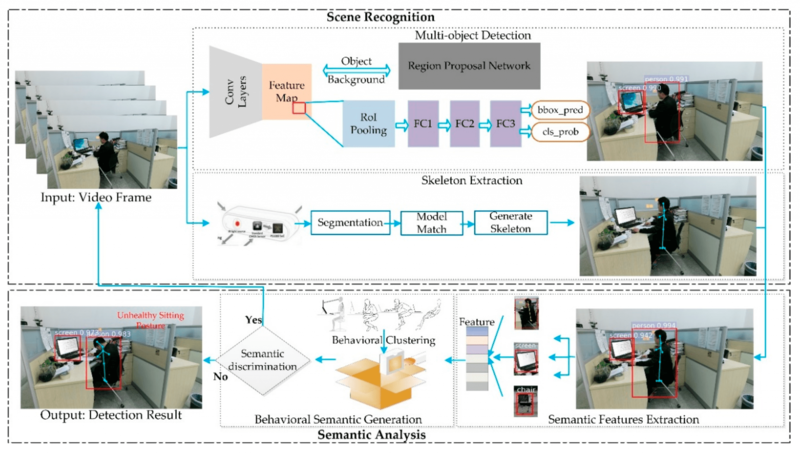 In other words, the study has two parts — a scene recognition and semantic analysis. Similarly, skeletal point extraction is done by inferring space and location information in the scene. But, here space is restricted to human body features. In the semantic analysis, behavioural semantics is the basis of feature extraction. 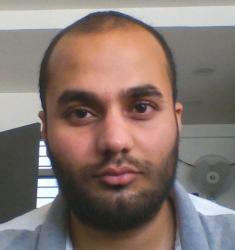 This means, all the behavioural attributes are considered along with scene entities. To generate behavioural semantics, the Gaussian-Mixture clustering method is used. This itself forms a separate module in semantic analysis. When the experiment was conducted for a set of 65 videos of postures deemed unhealthy, the CNN framework detected postures along nine positions and almost fared the same compared to another standard method used for checking unhealthy sitting postures. In fact, accuracies (of precision and recall) were more than 95 percent, which was, again better than the compared method. Here, the CNN fared well for a pre-set environment, which means, a dataset of videos was used for experimentation. But, it has to be explored in a real-time setting. Real-time environment entails much more information other than those presented to the CNN. It has to be seen how it performs in this scenario. Earlier studies on posture detection used equipment such as sensors to assess body movements linkable to postures. Although they track key points necessary here, these studies neglect objects in the surrounding area. But, the above study tracks almost all elements in its vicinity. Why is this important? It is because certain objects also affect postures to a significant extent. 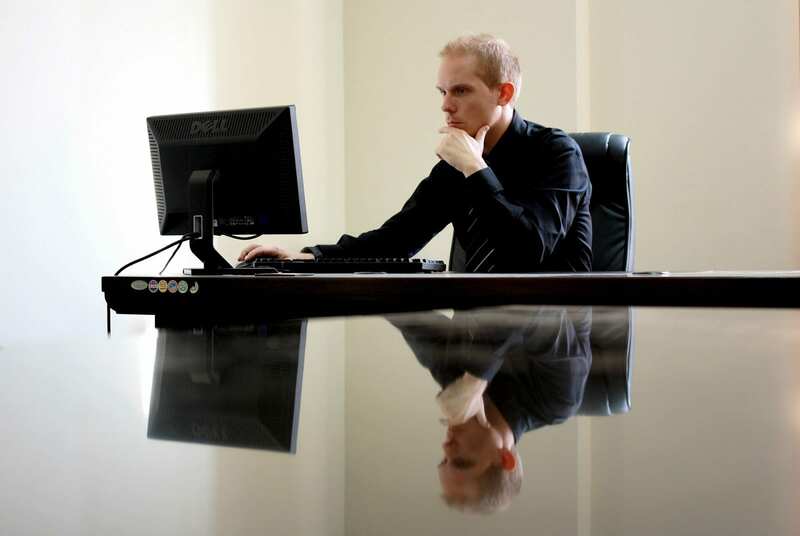 For example, computer screens — if they are at the wrong angle to the worker, he/she may sit in a different posture other than the normal upright posture. CNN detecting these irregularities not just helps with respect to sitting postures but also helps with determining overall ergonomics. If frameworks like these are implemented successfully in workplaces, it can be said that productivity and workplace safety can largely be maximised. As bad sitting postures and incorrect ergonomics become a hot topic in research, studies like these hope to eliminate inadequacies in the work environment, if left ignored lead to medical complications in employees. Modern rules of work have changed a lot. By incorporating techniques of deep learning for behaviour and physical activity supervision, the ‘healthy’ way of doing work can be promoted so as to boost morale.